It seems like every time we go to the dentist, they tell us the same things again and again: brush your teeth twice daily, floss regularly, and schedule your next dental appointment. And while it might be easier to just grab the free floss and toothbrush and bolt out of there ASAP, there’s a reason why these three tips are practically the chorus of the song and dance that is a dental visit. Understanding why these tips are crucial to a better smile (and better health overall) will hopefully inspire you to take action—and not just when you have an upcoming dental appointment. You’re likely to hear these tips at Frederick Smiles Dental Care, because we know the importance of dental health and its substantial impact on your life as a whole. Not only do we know the importance of dental health, we are committed to making sure your dental health is top priority. This is why we were voted the best dentist in Frederick and Germantown, and we don’t plan on stopping . Learn why these dental tips are critical for a better smile, and book your next appointment with Frederick Smiles Dental Care today! Every time you eat something (and hopefully that something is super tasty), food particles and bacteria stick to your teeth. This plaque is characteristically sticky by nature, and more or less adheres itself to the surface of your teeth. Over time, this plaque can build up, and become more and more difficult to remove. As the plaque continues to build, the bacteria can eat away at the tooth enamel, causing cavities and other problems. If left untreated, this can lead to needing a root canal, and potentially loss of the tooth itself. Brushing your teeth after you eat is one of the best measures you can take to combatting the buildup of plaque. When performed correctly, you’re actively eliminating some of the plaque buildup, which in turn reduces the risk of cavities and overall decay. Ideally, you should brush your teeth after every meal. Realistically, this isn’t always possible, so dentists agree that once in the morning and once before bed works just fine as well. In order to effectively brush your teeth, hold your toothbrush at a 45° angle, gently brushing against the outside, top, and inner surfaces of teeth. It can be tempting to try to scrub the surface of your teeth, but this can actually irritate your gums and cause more damage. When used in correspondence with flossing and regular appointments, a gentle brushing for two minutes is more than acceptable. Additionally, it’s important to make sure you have the right gear. A soft-bristled brush should be your tool of choice, and should be replaced every 3-4 months. Use toothpaste with fluoride in it, as this mineral helps stop decaying in its tracks. Flossing is about as fun as getting your tires rotated or dusting your house, and for many of us, is completed just as frequently. Yet many dentists agree that flossing is actually even more important than brushing your teeth. This doesn’t mean you should skip brushing your teeth, but flossing takes care of plaque buildup in places that are hard to reach from brushing alone. Additionally, the plaque buildup that isn’t eliminated from brushing your teeth can greatly impact your overall health. In fact, this plaque is the same type of plaque that can affect your heart, putting people at risk for heart attack or stroke. The most important thing to remember is that plaque buildup is bad anywhere, and flossing is a great way to work towards getting rid of it. As Colgate states, “Gently curve the floss around the base of each tooth, making sure you go beneath the gumline.” You can use nylon floss (which is cheaper, but tears more easily) or the more expensive single filament floss that is highly resistant to shredding. Most dentists would agree that either is fine, as long as you are flossing. Tip #3: Make regular appointments to the dentist. In a perfect world, you’re flossing regularly and your teeth brushing skills are on point, and you would still need to see the dentist. 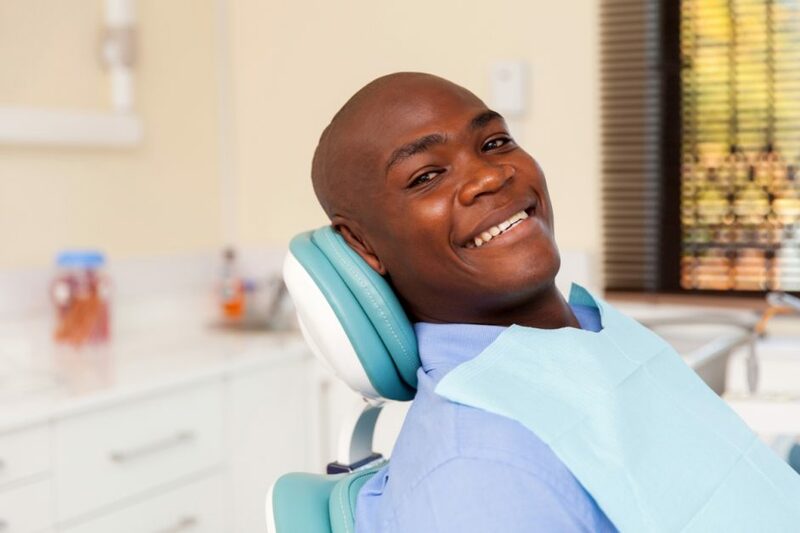 Visiting a dentist regularly gets you access to a deeper, more thorough teeth cleaning, as well as a chance to diagnose problems that you might be oblivious to. These three tips, when used in tandem, are the best ways that you can protect your dental health. Book an appointment at Frederick Smiles Dental Care every six months to get a teeth cleaning! If any issues present themselves at the appointment (or in between appointments), make follow-up appointments as necessary. As Frederick and Germantown’s top dentist, we are a dental clinic you can trust. Continue brushing your teeth twice daily, floss regularly, and book a visit with our dentists—call today for dental services you can smile about.